CRACKED — Victor hates his life. He has no friends, gets beaten up at school, and his parents are always criticizing him. Tired of feeling miserable, Victor takes a bottle of his mother’s sleeping pills—only to wake up in the hospital. Bull is angry, and takes all of his rage out on Victor. That makes him feel better, at least a little. But it doesn’t stop Bull’s grandfather from getting drunk and hitting him. So Bull tries to defend himself with a loaded gun. When Victor and Bull end up as roommates in the same psych ward, there’s no way to escape each other or their problems. Which means things are going to get worse—much worse—before they get better. 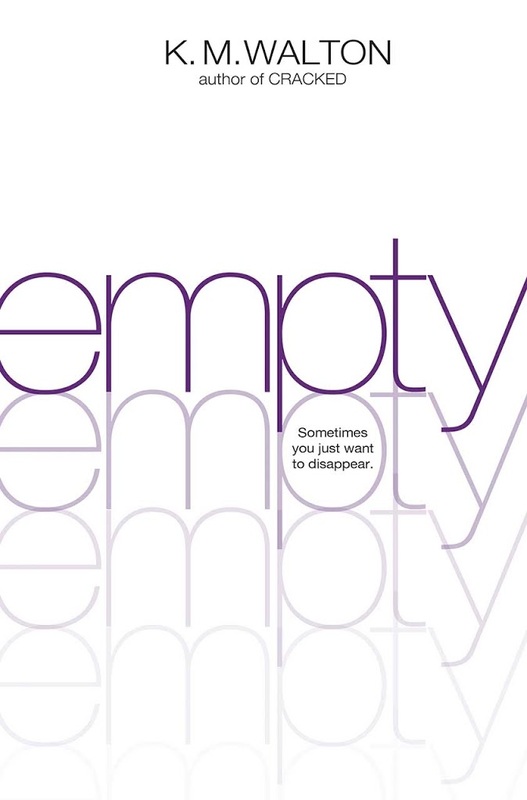 EMPTY — Dell is used to disappointment. Ever since her dad left, it’s been one letdown after another. But no one—not even her best friend—understands all the pain she’s going through. So Dell hides behind self-deprecating jokes and forced smiles. Then the one person she trusts betrays her. Dell is beyond devastated. Without anyone to turn to for comfort, her depression and self-loathing spin out of control. But just how far will she go to make all of heartbreak and the name-calling stop? 1. Kate, the first manuscript you queried was a MG science fiction novel. The book that landed you an agent and a publishing contract was a YA contemporary about bullying. How did you transition from one audience and genre to the other? I’ve always been a widely creative person – into a bunch of different things at once. So it never felt difficult to transition from one project to another. I’ve also written four picture book manuscripts (unpublished) and co-authored a book on how to teach mathematics (TEACHING NUMERACY: 9 Critical Habits to Ignite Mathematical Thinking, Corwin Press, 2011). 2. 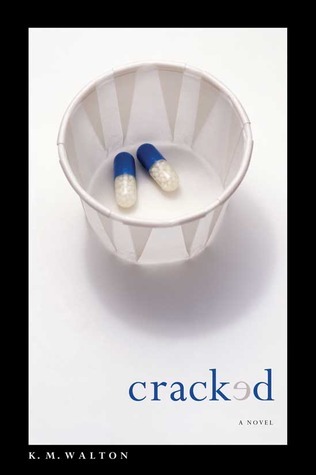 Can you share the story of how you landed a deal for CRACKED with Simon Pulse? My former agent, Sarah LaPolla, submitted the manuscript to Simon Pulse, to Annette Pollert specifically, and she made an offer. I accepted the offer, and fifteen months later the book was released into the wilds. 3. One of the things I admire about you is your ability to connect with people (because I’m an introvert and it’s easier for me to hide behind my computer online). You seemed to have made a lot of contacts in the business even before you published your first book (ahem, like James Howe). What’s your secret? I don’t know if it’s a secret, per say, but I am myself around everyone. I used to talk the same way to my sixth grade students as I’d talk to my sisters or my old Principal or the checkout guy at Wawa – I’m just me. And I’m a big fan of the great equalizer: humor. Making people laugh tends to break down the walls we humans like to hide behind. 4. You’ve handled some pretty tough issues in CRACKED and EMPTY and also in your upcoming project. What has been the hardest, most emotionally wracking thing to write about (without giving away any spoilers)? Getting inside of the heads of my very, very damaged characters, feeling their feelings, thinking their thoughts, crying along with them, screaming out in pain – basically, all of it – has been emotionally wracking. But, on the flip side, it has been a distinct honor to get to know these three incredible characters (Victor and Bull from CRACKED, and Dell from EMPTY). Many times I wished I could jump into the computer and wrap them in my arms and tell them it would be all right. There are some scenes that I still cry when I read or even discuss. 5. I know that teen readers have reached out to you after reading your books, sharing their own stories. What do you say in response – and do you ever try to get them in contact with someone who can help? I respond to each reader personally. Since every reader writes something different, my responses are customized, but I always let them know that their kind words have touched me. And yes, on a few occasions I’ve encouraged a reader to seek additional help and sent links to appropriate organizations. 6. All authors are advised to cause their characters pain in order to drive the story forward and create tension. What is one thing you had to do to a character that you didn’t want to do – but was necessary for the story? 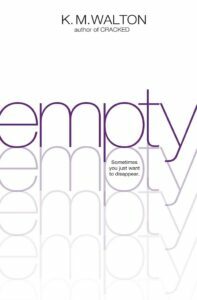 If anyone reads EMPTY (or has read) then they’ll know. 7. Give us the teaser for your next book! I’m very excited to work with the brilliant Annette Pollert from Simon Pulse again on my next book, which is currently untitled. It’s another contemporary YA, but unlike CRACKED and EMPTY it has distinct mystery bent. It’s also based on a true story. Seventeen-year-old Hope Bailey is popular, likable, friendly, and kind. So, when a mean and insulting letter is shoved into her locker, Hope immediately thinks “joke”. Then a second letter shows up, even more threatening and horrible: I know what you did. I’m going to tell everyone. You deserve to die for what you’ve done. Hope stops laughing it off and decides to figure out who it is on her own. Bad decision. K. M. Walton is the author of CRACKED (Simon Pulse ~ Simon & Schuster 2012), EMPTY (Simon Pulse ~ Simon & Schuster 2013) and the co-author of TEACHING NUMERACY: 9 Critical Habits to Ignite Mathematical Thinking (Corwin Press 2011) for mathematics teachers K – 8. She is a graduate of West Chester University, with a degree in elementary education. 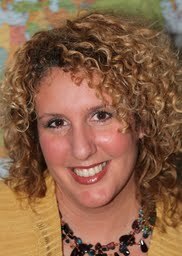 As a former middle-school language-arts teacher she’s passionate about education and ending peer bullying. She gives school presentations on the topic “The Power of Human Kindness.” She lives in PA with her husband, two sons, cat, and turtle. Visit her at kmwalton.com or follow her on twitter @kmwalton1. Great interview! I totally agree that humor is the great equalizer. Great interview. I loved learning more about Kate. I’ve seen both her books around. I’m an introvert like you and was glad to learn how she’s connected with so many people. There’s always a risk to taking on a damaged character like that, but it sounds like you did an amazing job with it. These characters all certainly seem like they have issues! I have such a hard time writing anything dark, so I definitely respect people who can! Thank you for hosting me today, Dianne, and thank you to your readers for their well wishes! I loved this interview! So cool to look into published writers’ brains and hear about their thoughts and experiences. I like that Kate has written in different genres successfully because it’s something I worry about, dabbling in too many different topics. It was great to get to know KM better! Thanks for hosting her, Dianne.